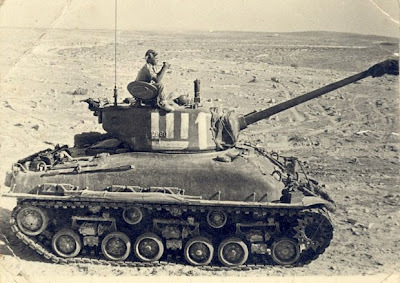 The American M4 Sherman tank has seen battle with the IDF in four major conflicts, from War of Independence (1948) to Yom Kippur War (1973), more than any other tank. 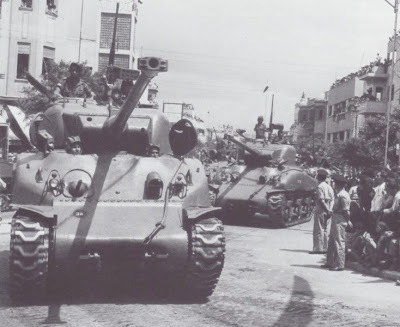 It had also been modified and more sub-variants of it were produced more than any other tank in IDF service - from a main battle tank to engineer vehicle, self propelled gun and anti-radar missle launcher. 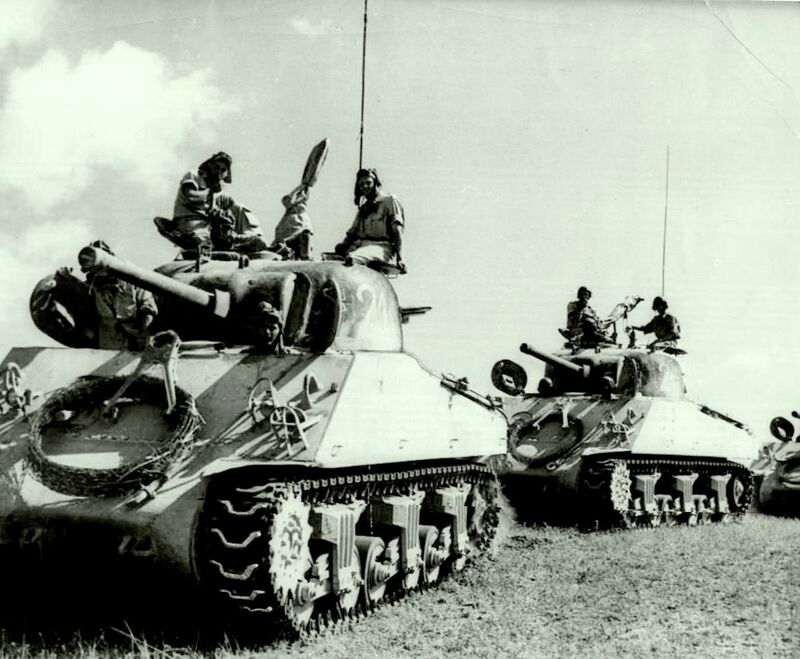 After the end of the second world war, thousands of M-4 Sherman tanks were taken out of service by the Allied armies. 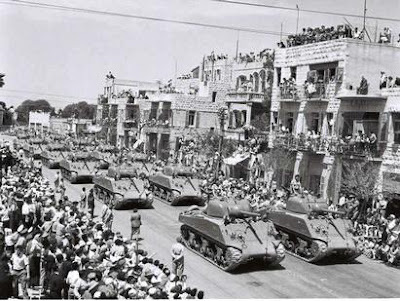 That made those tanks almost the only ones available to the young state of Israel - with it's economic struggles and the embargo on weapon sells to it by most countries. 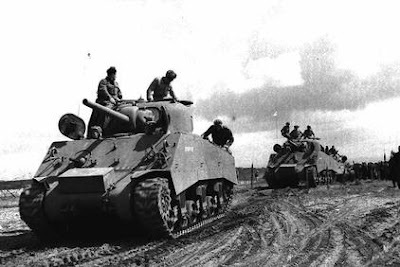 The first Sherman tanks were bought during the 1948 War of Independence, from an Italian junkyard where they were awaiting their selling for scrap. 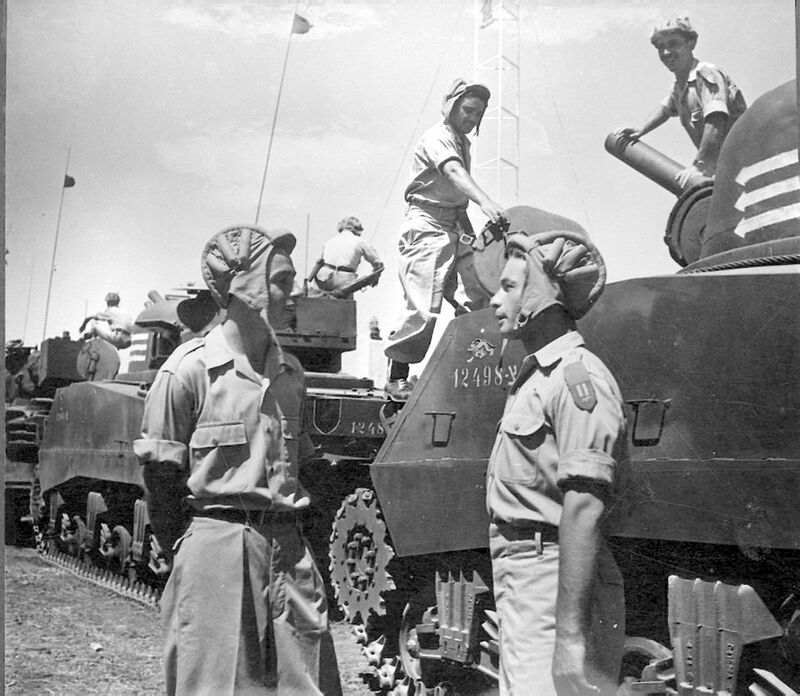 The IDF eventually bought 35 of these, but only 14 were operational by the end of the war. Since these tanks had sabotaged guns, some were regunned with the Krup 75mm field gun. 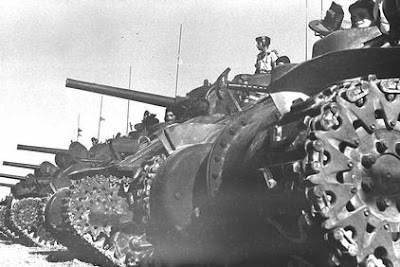 During the early '50s, more M4 were purchased from various sources, and the Sherman became the standard tank in the Israeli armored units. In collaboration with France, the tanks were regunned with the M50 75mm gun (M-50) and, later, with a 105mm gun (M-51). 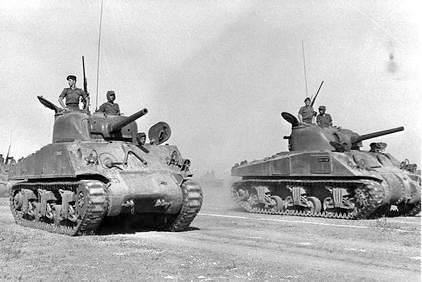 Some "Super Sherman" tanks, armed with a 76.2mm (M-1) gun were also purchased. 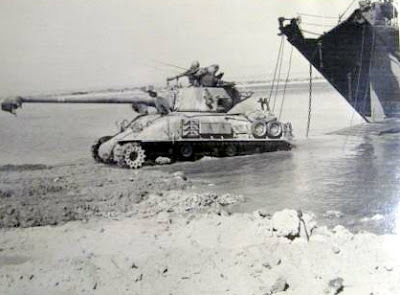 The Sherman saw action in the 1956 "Kadesh" operation in Sinai, against the Egyptian army (who employed it's own version of the M-4, returreted with AMX-13 turret). 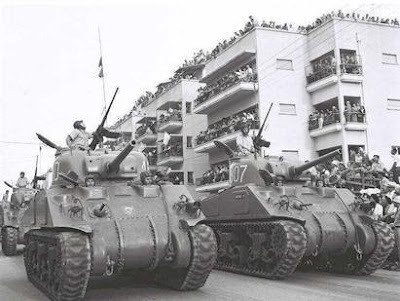 In Six Day War (1967), Sherman brigades were still the mainstay of the Israeli armored forces, though more modern MBT's were in service at the time. In the Yom Kippur War (1973), Sherman tanks fought, as always, in the front lines. 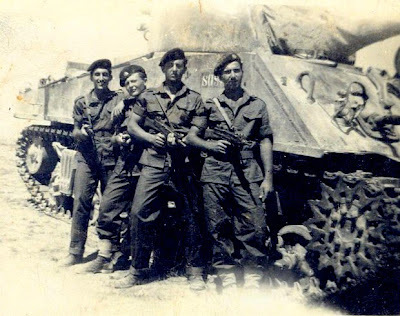 Fighting against Syrian and Egyptian T-55 and T-62 MBT's with a WW2 vintage weapon, the Sherman crewmen made true the motto of the IDF's armor corps: "Man is the steel". 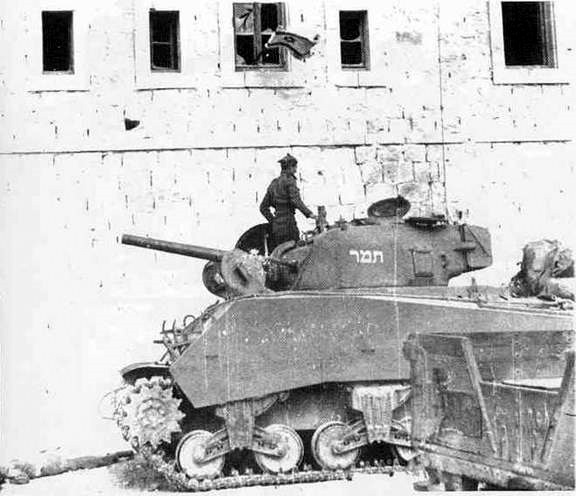 No other vehicle in IDF use was modified and had so many variants based upon as the Sherman. Besides it's use as a tank, there were engineer variants, mine plowers, rescue vehicles, gun practice moving targets, self propelled guns, mortars and MLRs, ambulance and many more. 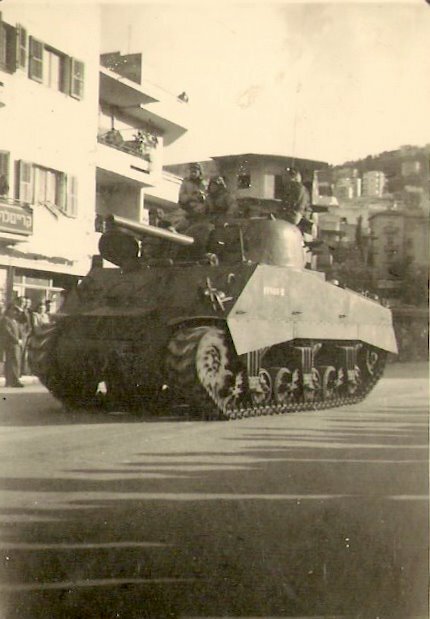 The M-50/155 Howizter is another conversion of the M-4 Sherman. The M-50 155mm is an Israeli indeginious self propelled gun - a French 155mm howitzer was fitted on a Sherman chassis. 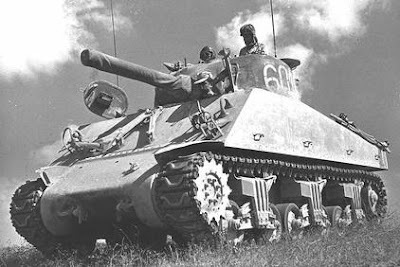 The medium Sherman tank is one of the many models built by the US Industry during WWII The M4s of which 49,000 were built from 1942-1945, were the tanks that finally managed to defeat the Nazi armour in combat in Europe and North Africa, and also against the Japanese Army in the Far East. A 30 M4A1 tanks fitted with a 105mm Howitzer were purchased by the IDF from surplus warlike stores of the Allied Forces in Italy. The Americans had drilled a bore in the barrel in order to damage their combat fitness. The tanks Howitzers were repaired by the IDF in enough time to take part in the War of Independence (1948) when only 3 M4a1 tanks where ready in the end of the war, this tanks participated in battles in the Negev and the Northern Sinai Peninsula. After the war in 1950's there were around two companies of this tanks. Israel purchase 40 M4A4 tanks with M4A1 engine from French. 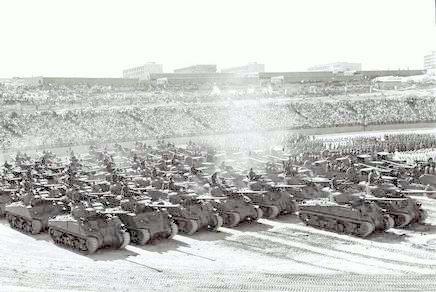 When the Sinai Campaign (1956) war broke out, Israel had 180 Shermans ready for battle of total 205 Shermans, during the Sinai Campaign (1956) war Israel captured M4A3 tanks from Egyptians. The M4A1's cast upper hull gave it distinctive rounded edges. This makes it the easiest of Sherman tanks to identify. Other identifying features of M4A1, which it shares with M4, are the rear of the tank and engine access panels. There are twin engine access doors in the rear hull and air cleaners at the top corners of these doors. M4A1 had twin square muffler tailpipes at the top of the rear hull above the air cleaners, a steel-covered air intake behind the turret, and solid engine access doors in the rear deck behind the turret. 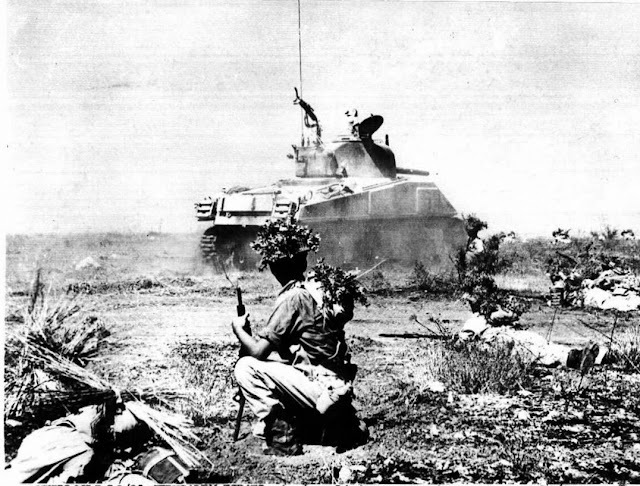 The main gun in the first M4A1s built was the 75mm M2, which was shorter than the M3.